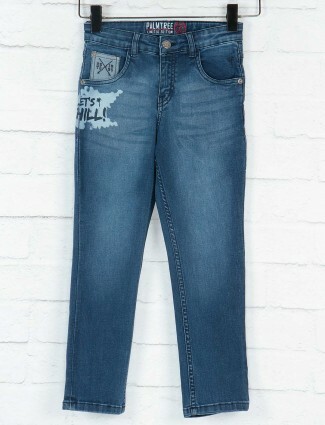 From the youngest of their age, toddler boys jeans to teens we have a collection to admire of boys jeans online at G3+. 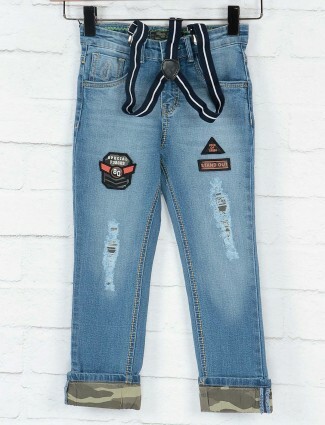 Bringing you all the latest styles of jeans for boys aging from 1-16yrs in colours from blue jeans, white jeans, black, washed jeans, and all trending fits. 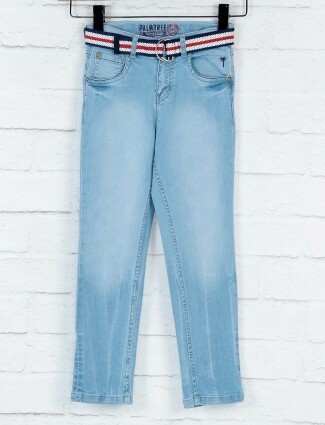 As for the popularity of jeans, it also falls on to the boys segment, bringing a classy dress up to the young males, bringing their stylish forms come out of them. 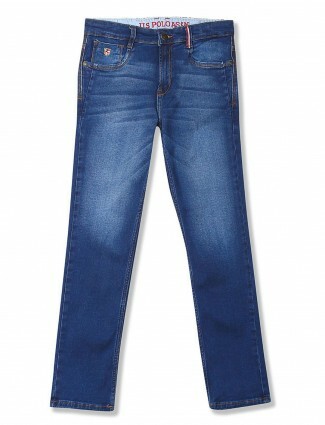 A very comfortable bottom wear, the jeans comes in many styles of slim fit, narrow fit, regular fit and patterns which has also become a universal dress up category for boys in all ages, giving them a casual and stylish feel, the boys elastic denim gives more comfort and easy to carry are also found for the young kids. 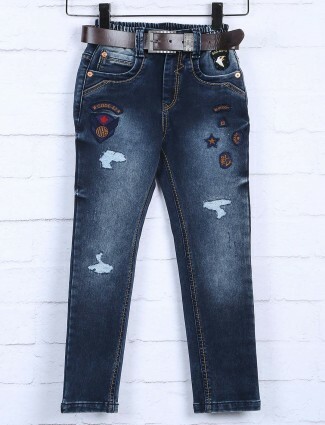 G3+ fashion has many brands which are popular especially for jeans namely Levis, Cityboy, Rex Straut, Okids, Oil & Grease, Gini & Jony, Tippy, Utex, G Star, Ruff, Badboys, Step, Forway, etc. 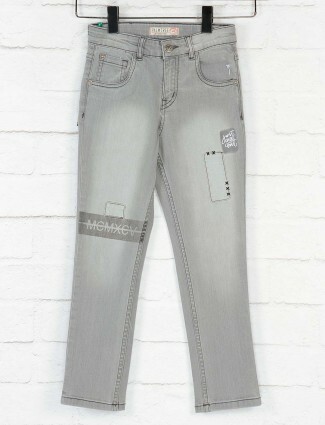 and of course jeans being very durable, is worn most commonly at all events. 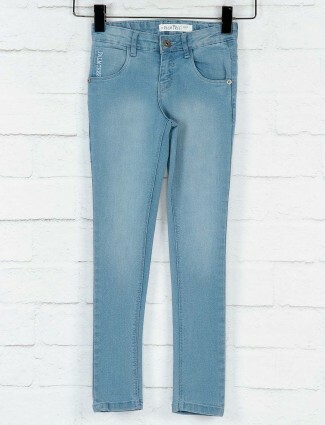 They say happiness is all about putting on your favourite pair of jeans. 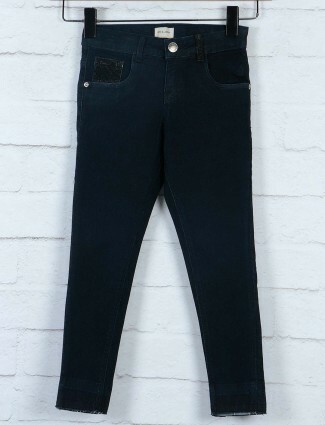 If it’s a snug fit, it adds a certain amount of style to your looks. 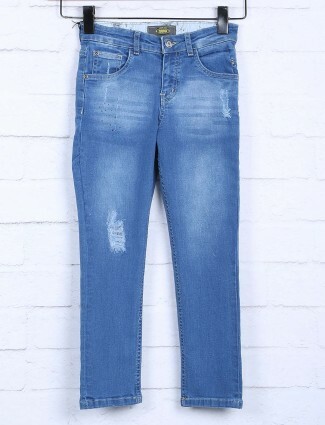 Wearing a pair of jeans is all about flashing your cool, classy and debonair attitude. 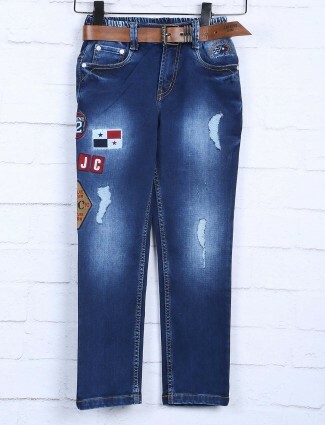 When you buy latest boys jeans online, it is important to keep quality and design first, match it up with comfy tees, boys casual shirts, or the jackets for winters. 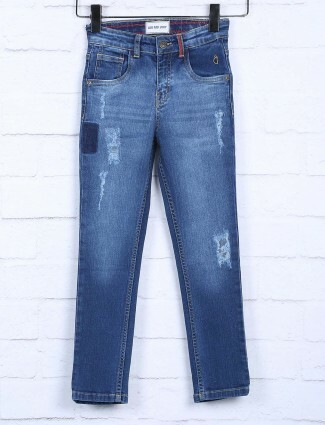 At G3+, you needn’t worry about either, because we have already evolved the trust of thousands on both counts. 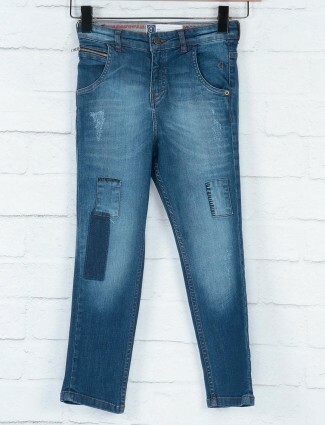 As for the styling, just select the one that matches mood and fashion statement; choose from U-Tex blue denims, Tippy navy denims, Badboy black denims or Ruff denim washer navy boys jeans to give you that macho, smart appearance. 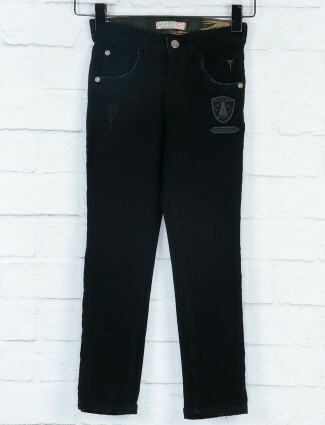 Choose a pair that matches your favourite tee- shirt and sneakers to complete that look that makes you the heartthrob of the neighbourhood. 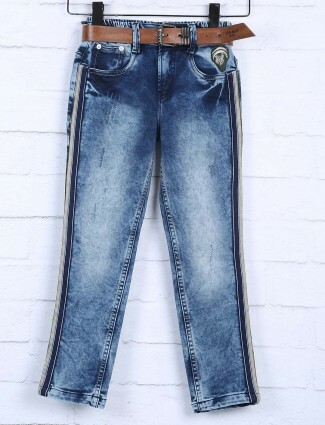 And oh yes, G3+ also has some of the best designer denims for boys in slim fit styling in its collection, so that you can flaunt your attitude and make your presence felt, without having to try too hard. 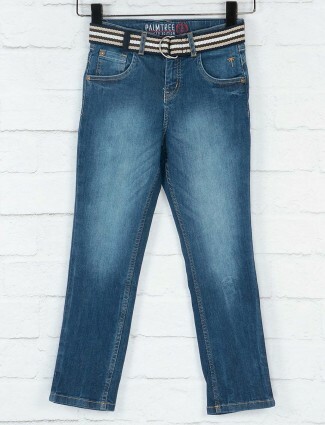 Here’s a tip on boys jeans while travelling- match them with a white T shirt and smooth leather shoes and a tan colored jacket. 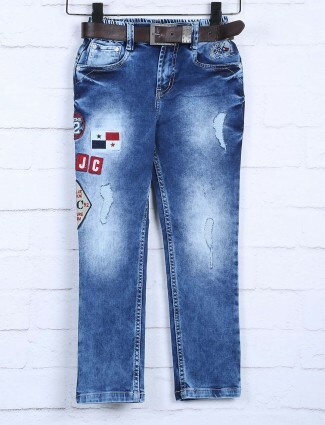 The prints and coloured denims have become a hot pick for boys, wearing printed or stained and washed jeans has classic style merged with the fashionable trend. 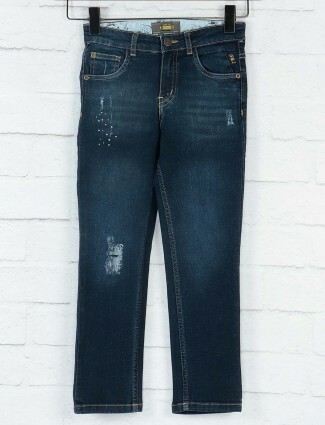 The styles in regular fit, skinny fit, straight fit to the other details added to increase its casual styling. 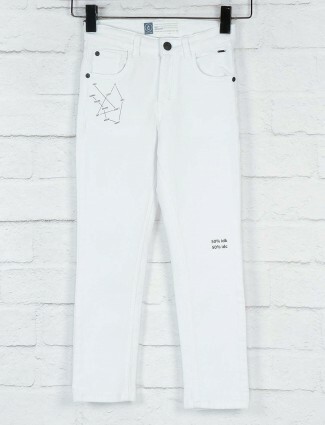 Toddler white jeans is also an on-going trend, seeing small boys dress their perfect fashion wear is where we come in with a wide range of jeans for boys with brands and styles. 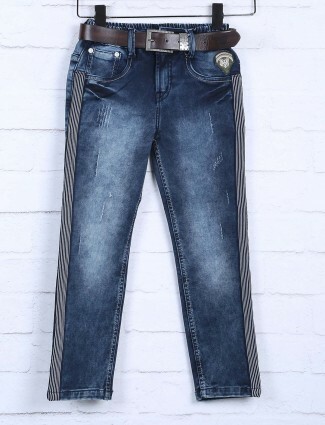 Online shopping for this classic wear in boys segment has been enticed with the new brand patent patterns to the regular jeans which still has the deep impact with the casual wardrobe collection. 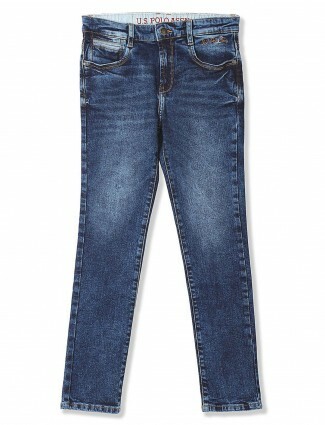 Wearing jeans for a boys bring joy and comfort, wearing one to a trip or vacation, for the occasions like parties, weddings and receptions or the casual day activities. 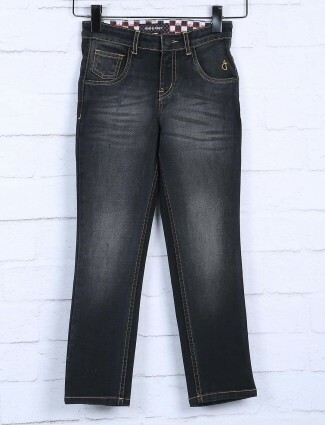 Opting for more than blue jeans, brings you the opportunity to select your own choice of more coloured and stylish jeans in black, browns, blues, maroon, greens and more attractive colours and labelled boys wear jeans collection to strive in with G3fashion.com.